Late last month, while searching for bears, woodpeckers and spirits of Greece, I deliberately avoided checking any news, especially from my home country. Every now and then, I need to cut the world off and clear my mind. Nevertheless, only the most important news I did follow, those about the decision-making process on future sales of elephants and their ivory at a global wildlife summit in Johannesburg, South Africa, the first such meeting since 2013. We are facing a plague of poaching that is again decimating the species. 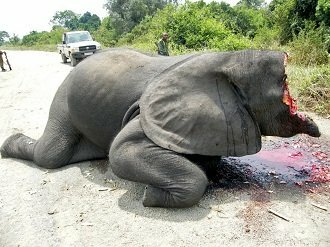 In Africa, one elephant is being killed every 15 minutes. 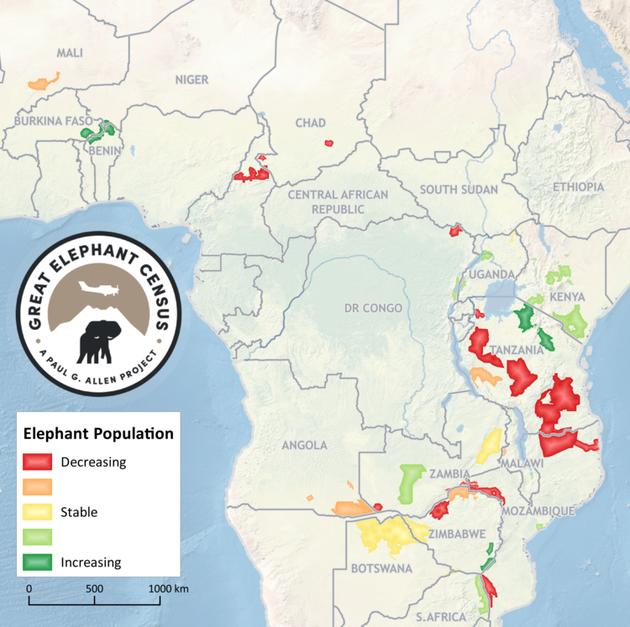 The Great Elephant Census found that populations of Savanna Elephants Loxodonta africana have fallen by 30% between 2007 and 2014 (around 144,000 animals poached or population shrunk at a rate of 8% a year, a level higher than their reproduction rate; source https://peerj.com/articles/2354.pdf). Even worse is the situation with Forest Elephants Loxodonta cyclotis of jungles of Central and West Africa. A different research says, from 2002 to 2011 the known populations of forest elephants declined by 62%. Shrunk? Declined? One may say so. I say they were butchered, face-off. Literally. Will the Convention on International Trade in Endangered Species of Wild Fauna and Flora (CITES) conference delegates up-list them to Appendix I of the Convention, forbidding any future sale over international borders? Or – not? My adopted homeland of Botswana’s delegate said, “Poaching is so intense that… although Botswana has previously supported the limited, legal ivory sales from countries that manage their elephant herds sustainably, we now recognise that we can no longer support these sales… [we] now support a total, unambiguous and permanent international ban on the ivory trade.” And it gave me a hope. But the “illegal international trade” is already there, killing – among other places – in Kruger (S. Africa), Hwange (Zimbabwe) and, recently, in Chobe national park in Botswana (the one that was considered so safe that the Clintons have visited it as a presidential couple)! If aforementioned illegal international traders could have had their delegates at the summit, I am sure they would completely endorse the WWF (and I am old/cynical enough – read however you like it, to think that in this form or another, they did have their representatives). To me, the WWF’s stance is like, e.g. if you have a corrupted police and too many unsolved murder cases, in order to make police job easier, you should opt to decriminalise murder. As I said, I do remember my elephants, especially the first one. It was July, fifteen years ago. I was down in the south of Africa, in the Limpopo River valley. With my guide Steven Makala behind the wheel, an open Land Cruiser veered around rocky kopjes and winded through mixed mopane woodland with acacia and baobab, not far from Baines Drift in the east Tuli Bock of Botswana. There were a lot of elephant dung along the dirt tracks – an entire fortune, having in mid that a framed slice of it could be bought in curio shops for 8 Euros. Beside dung, we saw Chacma Baboons and Vervet Monkeys, Common Duikers and Klipspringers, Kudus and Waterbucks… Common Ostrich ran across the road and soaring birds, the very epitome of African savannas, included African Harrier-Hawk, Bateleur, Black-breasted and Brown Snake-Eagles, Tawny and Verreaux’s Eagles, African Hawk-Eagle, African Fish-Eagle, etc. Steven had no binoculars, but impressively sharp eyes and great knowledge of birds. Mopane trees can grow up to 18 m / 60 ft and interlock their canopies. Unlike acacias with their tiny leaves, mopane – also known as the butterfly tree is a broad-leafed tree known for its odd, double shaped leaves that fold together at noon to expose the smallest possible surface area to the merciless sun and reduce evaporation. Yet, the trees around us formed thickets, not taller than 4 m / 13 ft and practically without canopies, only short stubby branches whose fresh offshoots after the rains were being eaten by elephants. That was my first Savanna Elephant in the wild. The animal slowly walked away from us, stopping every now and then to check on our behaviour. From some distance, trumpeting of the matriarch of the herd could be heard. Now they know that we are here and we will not surprise any other ellie. Which may be better. For them, at least. Last month in Johannesburg, the vast majority of the elephant-range states (30) were for the up-listing and total ban on any international trade. Of those range states, opposed were South Africa, Namibia and, not surprisingly, Zimbabwe. But the shocking voice that made the difference and prevented the full protection of elephants was even less expected than the WWF’s stance – the EU vote. EU voted as a block of 28 votes “against”. The US followed and voted “against”, too, but one vote would not make a difference. Block of 28 votes did. 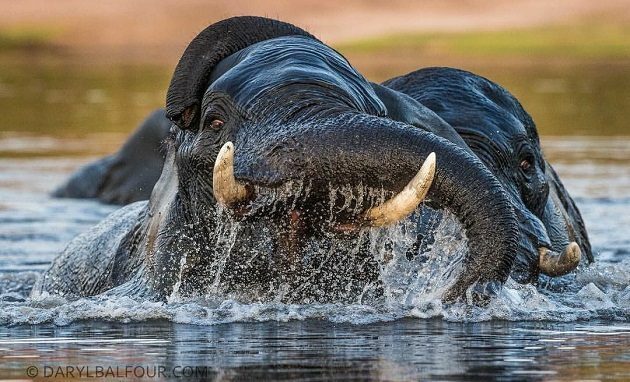 Soon, the WWF twitted of the “victory” at the conference: 182 member-countries were advised to prohibit all internal ivory sales (in-the-country, as opposed to international), at the same time leaving the gates open for possible “controlled” international sales. The way I see it, it is a cruel joke leading towards the extinction of a threatened species. Why? Because the advice, being non legally-binding is precisely – nothing. A laughing matter (Japan was first to laugh at it, saying it doesn’t give a …, well, not in those exact words). But I do not feel amused by it. Nor will elephants, being intelligent as they are and soon to see that precisely nothing has changed and that it is still poaching as usual, be any more amused by it. How much time did you need to read this blog? Perhaps 15 minutes? Another ellie is being killed as you read this line. If you or your children face elephant extinction during your lifetime, do not accuse solely the rise of the middle classes in the Far East, fueling a new demand for ivory. Turn your eyes to the European Union which could have stopped it in 2016, but chose not to. My friend works for the Paul Allen Foundation and was part of that census and participated at the CITES conference. She, too was very disappointed by the EU’s vote. Thank you for sharing this. Yes, out of only 44 votes against, 64% were those of the European Union countries. And I strongly believe that the EU citizens would stand against such vote, if they were ever asked. You give outrage a good name. I am heading to South Africa for my winter and this is a sobering account powerfully written. I truly don’t understand why the WWF and the EU delegates could do that. How could this be possible? What is their thinking? Neither can I. Probably the same technicality upon which USA based its vote “against”. Or was it the trophy hunting lobby pressure? Where Are You Birding This Second Weekend of November 2016? Welcome to the New 10,000 Birds!